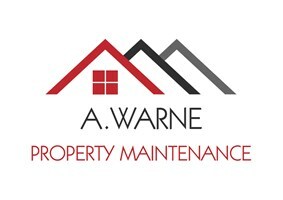 A W Property Maintenance - Home Improvements, Painter/Decorator based in 34 Keyhaven Road, Hampshire. My name is Adam Warne and I live in Milford on Sea. I have been in the property maintenance / construction business for 25 years and decided to set up my own property maintenance business 9 years ago. I have carpentry, painting / decorating and roofing qualifications. I have a good team of workers, enabling us to carry out full redecorating and complete refurbishments including replacement bathrooms / kitchens / flooring / and all aspects of repairs around the home internally and externally. This Includes - leaking taps / silicone replacement on showers & baths / tiling / coving / door locks / fascia & soffits / fencing / sheds. My prices are fair and I offer free quotes with no obligation. I am happy to discuss any work requirements with you. I also carry out work for commercial and letting agencies. Thank you for looking at my profile page.